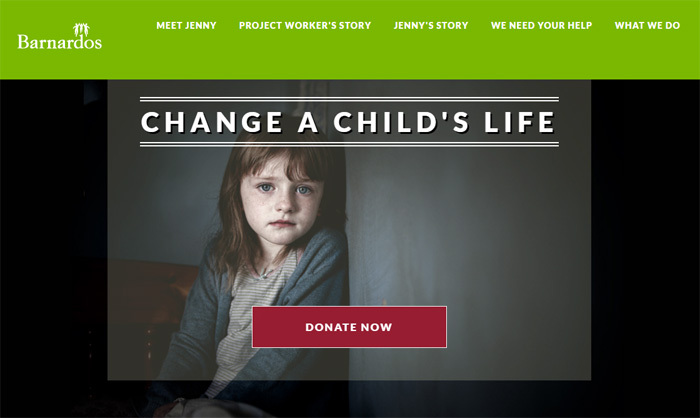 About the Project: Change a Child’s Life is a long-running fundraising campaign from Barnardos (see the beautiful and moving series of ads on YouTube). I built a simple landing page for the campaign in early 2015 as the previous microsite was looking quite stale and was not mobile-responsive. By creating a mobile-friendly landing page focused on donations, we are better able to serve the needs of users looking for more information after seeing the ad on TV. The landing page is based on a template from HTML5up.net.